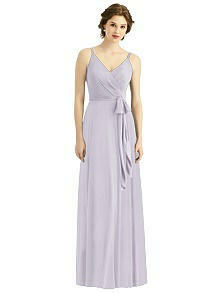 The chic touch of the fresh halter twist detail gives this full-length lux chiffon bridesmaid dress a pretty silhouette. 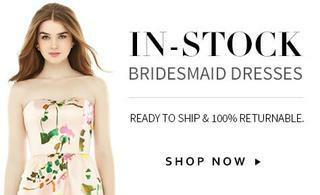 A full circle skirt falls gorgeously from an inset waistband while the rouched bodice flatters stylishly. Available with beading as style 6782.